We have been making pots for over 40 years. In 2014, we decided to experiment with 3D printing clay and build our own “clay printer”, combining art, craft and technology in a new way. This opens new possibilities that are fascinating to explore. Our pots start with an idea inspired by a natural form. 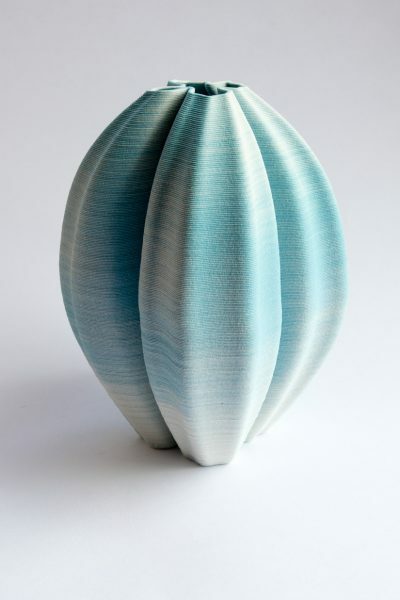 This is developed as a digital design which must be practical to print in soft wet clay. The forms and textures also demand new approaches to colour and firing to make the pieces come alive.